For quite some time I've been enamored with Darling Magazine. It's a beautiful women's magazine that focuses on deeper issues and doesn't retouch any of their models. 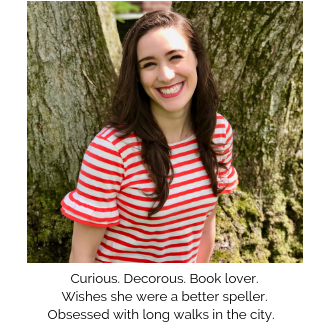 After attending an event run by Darling last year (you can read all about it here), I have been thinking about how I can get involved in what they refer to as the "Darling Movement." Today I am so excited to share a portion of the article I wrote for the Darling blog. Make sure to check out the whole thing here! When you think of the word “breakup” you may imagine teary eyes and pints of Ben and Jerry’s ice cream. Or perhaps a broken heart and sad Taylor Swift music comes to mind while you try to convince yourself that there are always more fish in the sea. What we don’t often think of is a breakup of a different kind: one with a friend. 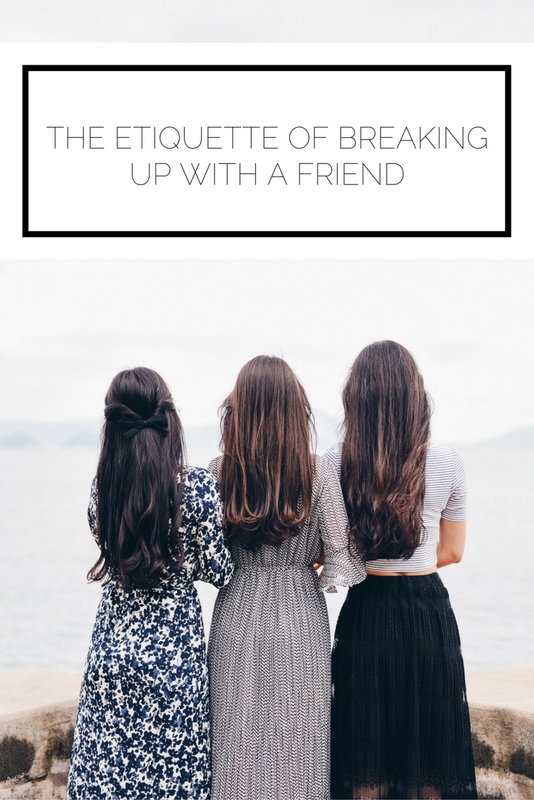 Let’s discuss how to identify what type of friendship situation you are in and how to go about a breakup, if necessary, with the standards of good etiquette in mind. Generally, there are three cases of friendship breakups: a friendship that ends slowly and organically (The Natural Fade), a friendship that becomes detrimental (The Toxic Friendship), and a friendship that no longer serves value for both parties (The Necessary End). If you are uncertain about a friendship, make an effort to be in tune with how you feel, both when you are with him or her and when you are apart. Through observation you can better understand and examine the situation. For the first case, you naturally grow apart from a friend as communication slows and you both move on. That is a common course of life and is a way that we all grow and change. Try asking yourself questions like: Are we transitioning into a new phase of life (such as graduating college or moving)? Has our common denominator (working in the same office or going to the same school) changed? If yes to these and similar questions, you are likely in The Natural Fade. Another scenario is when you are in a toxic friendship and it can make sense to stop talking, cut your losses, and focus on people who build you up and who improve your life. This exists when someone mistreats you and a relationship becomes a source of negativity or pain in your life. Examine your responses to questions like: Do you feel bad about yourself after spending time with this friend (because he or she makes negative comments or criticizes you without merit)? Is there anxiety or stress associated with being around this friend? When this is the case, you may very well be in The Toxic Friendship. The third situation is when you have realized there are areas of a friendship that no longer create value and you would prefer to move forward without this relationship being a significant part of your life. For example, perhaps this friend only seems to have fun with you when you are out on the nightlife scene (and despite initiating time together in other activities that feed your soul and develop your relationship, he or she does not put in the effort). Or maybe there is an element of selfishness that, while not malicious, leaves you wanting in the relationship. Ask yourself: Are there fundamental differences in your values (like not agreeing on issues that are important to you)? Are you putting in far more effort or is there a lack of reciprocity in the relationship? While we must be certain to not be unduly critical or have unfair expectations, if there are areas of the friendship that cause you true and justified discomfort, then you are in The Necessary End. Be sure to check out the rest of the post over on the Darling blog!